With not a Christmas ad in sight, campaigns with emotional resonance, and/or humour, ensured they were the ones remembered by our contributors this year. The Leo Burnett film for McDonalds McCafé gently lampoons urban hipster coffee culture by poking fun at how over-complicated the coffee world has become. Brilliant insight tapping into our desire for streamlined simplicity, great taste, great price to go, hold the fuss. McDonalds McCafe advert – it identified a real human truth (that people were sick of ‘fancy’ coffee) and executed a brilliant campaign. It made McD’s feel relatable, was clever and down-to-earth. The standout for me was the McDonalds ad with a boy talking to his mother about his late father…subtle, brave, moving, well written …and then, inevitably complained about, withdrawn and apologised for. These are wretched times! The tidal wave of support for ‘#MeToo’ showed the true power a viral moment has the potential to unleash. In the wake of the recent allegations against Harvey Weinstein, its popularity was unprecedented (used in 85 countries by more than 1.7 million people), sparking social debate about the abuses of power in Hollywood and beyond, and providing a platform for women to share their experiences. Many brands have tried to promote the power of VR, but Samsung’s perfect combination of playful storytelling around making the impossible a reality, and incredibly emotive music really nailed it. A brilliantly simple story that conveys the magic and wonder of technology without so much as a hint of technical speak. Having worked with Samsung over a decade ago when it was first making its mark on Europe and were obsessed with talking about tech specs and features, it’s great to see the journey it’s come on. This is how you get people to buy into a brave new world that often feels a bit daunting and inaccessible. The Heineken #OpenYourWorld campaign successfully achieved what the team at Pepsi monumentally failed to do, by being far more thoughtful and nuanced. And it was a great example of a multi-channel campaign, run primarily through social media it also translated very well to TV. Heineken deserves a huge amount of kudos with its ‘Worlds Apart’ campaign tackling differences in political and social opinion during a year where political events promoted division. The messaging, that just having a conversation can break down barriers between political stances and views, was so simple yet so powerful. It showed how effective emotion and value-led advertising is, but demonstrated that it is not so difficult for brands to have a wider social purpose. In terms of results The Labour party general election campaign – it was certainly effective. I don’t think it’s been a great year for campaigns – the big cultural and political upheavals have created a landscape where brands are struggling to catch up and get attention. So, I’d look to politics and say Momentum and Jeremy Corbyn (who is himself surely the UK brand of the year!). Routinely demonised as cranky, naive or dangerous, they also put boots on the ground in a lot of constituencies nobody expected Labour to win and delivered shocking results. It’s the first time the combination of social-media and real-world organising has really worked, I think. My hero campaign and brand for 2017 is The New York Times, fighting valiantly for truth in this post-truth era. It is standing up for investigative journalism, championing all organisations who put effort into finding the truth including CNN, The Washington Post and the BBC. The New York Times said: “We realised that when the leader of the free world tweets that something is fake and wrong, but you know you are right, what do you do? Tweet back.” Its campaign ‘The Truth Is Hard and it is more important than ever today’ captured this passion and importance. I am personally inspired by the work of Johanna Toruño via the Unapologetically Brown Series – street art designed and executed to make us think, re-connect and reclaim – her work and her mission are especially impactful in a year where some of the worst ads of the year took cultural misappropriation to new heights and where there is important and interesting work being done to unstereotype how we portray women. Girlguiding did a fantastic ad, flipping the phrase ‘know your place’ in a clever and engaging way. It was a great way to modernise the image of the organisation and encourage more volunteers to come forward. McCain’s also used its ‘We are family’ campaign to tap into the reality of modern family structures in a compassionate and motivating way. Harrison Funds ‘Gym Excuses’ – the UK wastes £558m on unused gym member ship every year – but what if the money was put to better use? Harrison Fund raises awareness of Duchenne muscular dystrophy. Excellent campaign. 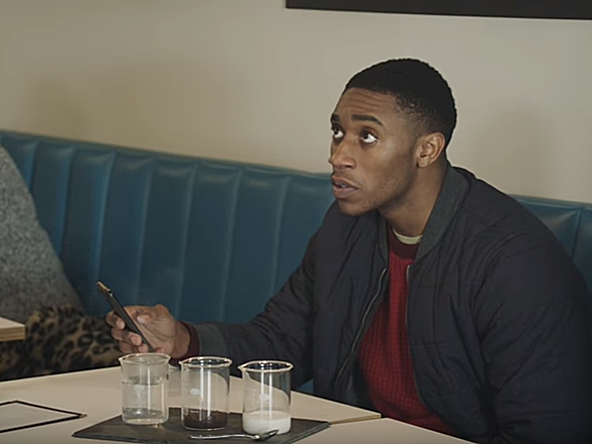 The Marmite ‘gene project’ works at so many levels and continues the ‘love/hate’ brand DNA (excuse the pun) which defines the sensory experience of Marmite – but raises it to new levels of drama with great comedy effect.